We Are Chester writer Paul Crofts shares news of a large-scale choral event happening at Storyhouse in Chester this weekend. He’ll be following this up with a write up on the event itself next week. Three of Chester’s top choirs are preparing to hit the high notes as they join forces for a major new event at Storyhouse in Chester. 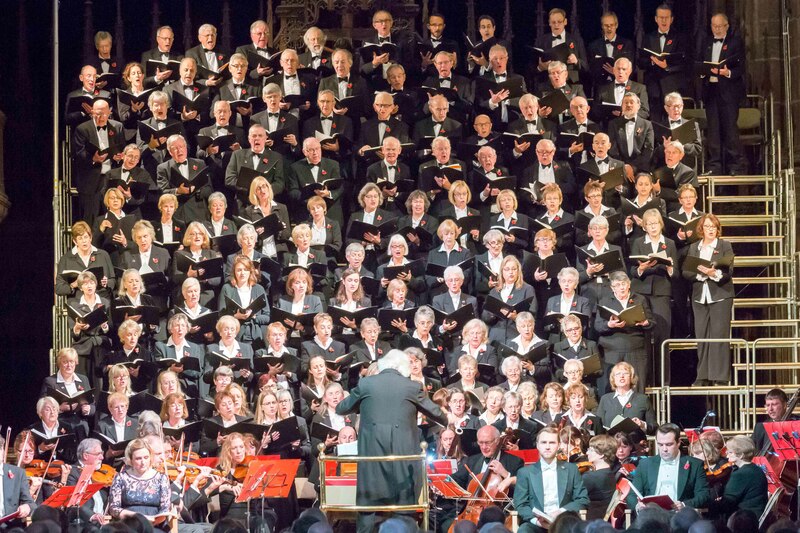 Under the banner of Chester Sings, the three choirs – The City of Chester Male Voice Choir, Chester Bach Singers and Chester Music Society Choir – will perform a joint concert for the very first time, taking to the stage at Chester’s prestigious new arts centre at 7pm on Sunday 15 April. The concert will feature each choir singing a selection of popular pieces from their extensive repertoires and will include everything from much loved traditional choral works including Bogoroditsye Dyevo (Ave Maria) by Rachmaninov to songs from the world of musical theatre and film such as George Gershwin’s I’ve Got Rhythm and Over The Rainbow made famous by Judy Garland in the classic film The Wizard of Oz. Other highlights will include American Trilogy and a medley of songs to commemorate the centenary of the end of World War One. Another first during the evening will be the coming together of the three choirs as they combine to perform together for the very first time in a grand finale. The concept of bringing together the three choirs is the brainchild of the chairman of Chester Music Society Choir, Clive Cooper, who said: “Chester Sings is a really exciting opportunity for us all, not only to see Storyhouse being used as a venue for choral performance, but also to provide an exciting new platform for future co-operation between the choirs of our city. Tickets for Chester Sings cost £15 and can booked online here.